The vaporizer industry has been getting more and more popular over the past few years. Vaporizers are being more advanced, more useful, and more feature-packed. Because of the number of vapes in the market nowadays, it’s getting hard to choose one that best suits your preferences and needs . However, finding the best portable vaporizer can be tough, so we’ve put together this resource – a one-stop-shop, all-inclusive guide to help you find the portable vaporizer that fits your needs. Some first timers opt to read portable vaporizer reviews before deciding on what to buy, but if you’re still left undecided, here are some things to look out for before making a decision on which one you’d choose. The first question that most ask about portable vaporizers is, “how portable is it?” That includes the size, the length, and the weight. Most portable vaporizers can easily be put into pockets, although there are some that are bulkier than others. The form factor also plays a role, since there are cylindrical vapes, and there are rectangular ones. When it comes to pen vaporizers, there are a handful of pen vapes that are about the same size as a Sharpie pen. There are others that are smaller, but most are around 5 to 6 inches in length. The weight also determines portability. Nobody wants to lug around a heavy vape, considering the fact that they are meant to be portable. Thus, for better portability, consider one that is light enough for you, but does not feel flimsy at all; one that fits your hand comfortably, but does not feel too big when you grasp around it. Portable vaporizers often use dry blends, whereas pen vaporizers utilize oils or concentrates. Keep this in mind when choosing the right one for you. However, there are portable vapes that can both use oils and dry herbs. 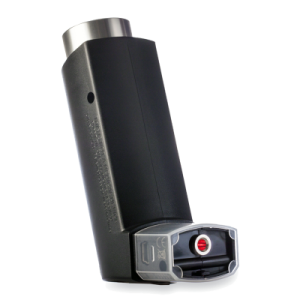 Some users may want to have a vape that they can easily operate, complete with preset temperatures and not many buttons to press. There are also others that do not even have any LCD displays or buttons, and simply automatically turn on and off when it is being used. Others may opt for a more fancy and more feature-packed one, with lots of lights and buttons, plus a customizable temperature setting. Also remember this when shopping for a vape, especially if you are not sure as to how to use them. Simple controls may just work best for you. While portable vapes are quite easy to be hidden, there are some that take this to the next level. It may be hidden underneath an inhaler device, or it may simply look like a pen. Either way, the level of discreetness of vapes play an important factor in deciding which one fits you. Would you want a vape that doesn’t look like a vape? Or do you want a head-turner vape? Whichever you choose, there’s surely a unit that best fits your preferences. There are many things to consider when it comes to battery. How long does it charge? How long would a full battery last? Does it use a USB charger, or does it charge via a wall charger? A USB charger might sound great for most people, but others may opt to use a wall charger. Also, there are some vapes that do not have rechargeable batteries. Different portable and pen vapes have various temperatures. If you use various types of dry blends that need varying temperatures, then also consider the heat capability of the device. There are many portable vapes with controllable temperatures, but there are also a handful vapes that have preset temperatures already. 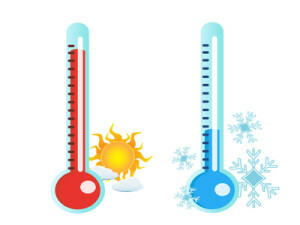 The controls usually cycle through preset temperatures, as opposed to actually choosing how hot or how high your desired heat level would be. Pen vaporizers, generally, only have one temperature. Since they are meant to be refilled, to only heat up within seconds, and to generate vapor only when the button is pressed, they do not have temperature controls. However, there are already some units that have LCD displays that indicate how hot a unit is. 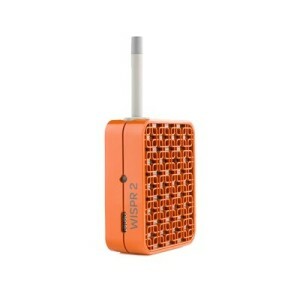 There are also some portable vaporizers that have fixed temperatures. Keep in mind that flexibility in temperature is not always proportionate to vapor quality, because there are vapes that have controllable and customized temperatures, but do not necessarily produce great-tasting vapor. If you still do not know which vaporizer you would want to get, here are some of the best portable vaporizers and pen vaporizers available in the market today. For those who want portable vaporizers, and mostly use dry herbs and blends, here are some of the best portable vaporizers to choose from. 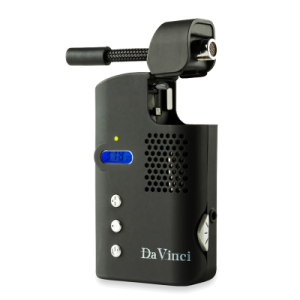 The DaVinci vape looks like a small walkie-talkie, with temperatures reaching up to 430F. It has a digital temperature control, can be used for up to 1 hour and 40 minutes, and can be used with both dry blends and liquid concentrates. This makes it very versatile, since most portable vaporizers only use dry blends. It’s just about 4 inches tall, and about 2.3 inches wide, and has a flexible, silicon straw so you can forget about breaking it. It also has a rechargeable battery, and comes with a 2-year warranty. The sleek Pax by Ploom looks very stylish, with its brushed aluminum exterior. This is probably one of the best looking portable vaporizers in the market today. It automatically turns on and off by pulling the mouthpiece, and pushing it back in. There are no buttons to press because it automatically turns itself on and off. It only has a little LED indicator that indicates the temperature levels, the battery levels and whether or not it is powered on. It’s 4 inches tall, and 1.4 inches wide, with 3 preset temperatures indicated by the LED color. But it’s packed with a 10-year manufacturer’s warranty. The Canadian Arizer Solo is lightweight and cordless, and the mouthpiece is made out of glass. The glass ensures that the vapor is at its purest, and remains clean and full of flavor. 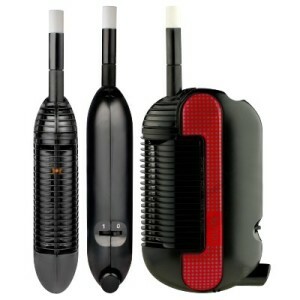 The rechargeable battery gives around 1 to 2 hours of vaporization. It has good vapor quality, with 7 levels of temperatures (the highest is at 410F), and is only 4.5 inches tall, with a 1.75-inch diameter. The LED lights indicate the temperature levels, as well as the battery levels of the unit. Although it might be a bit bulky and heavy because of the glass stems, it still delivers great hits. It has a 2-year warranty, but the heating element has a lifetime warranty. This is one of the most discreet portable vaporizers. Designed to look like an asthma inhaler, the puffit vaporizer heats up in 30 seconds, has 8 temperature settings, and even feels like a real asthma inhaler. Nobody would take a second look once you take it out from your pocket, and start inhaling. A full battery can be used with 25 to 30 heating cycles, and can be charged via a USB cord. It’s covered by a one-year warranty. Deemed as one of the best vapor producing portable vaporizer, the MFLB is a very simple device. It is made of wood, without any temperature controls (but the temperature is calibrated to reach around 380F in four seconds), and is just about 2.5 inches, at its widest. It has an acrylic cover and a screen that isn’t replaceable. 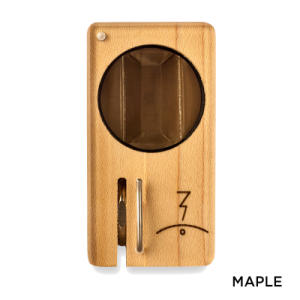 However, the simple design of the MFLB is a favorite amongst vapers because of the very good vapor quality that it produces. It is covered by a lifetime warranty, and the rechargeable batteries have a 6-month warranty. 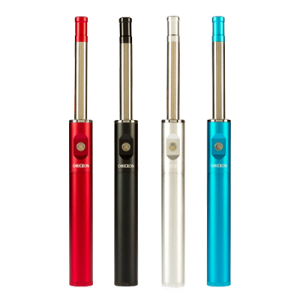 The Vapir NO2 comfortable fits in one hand, with its cylindrical body that has a small LCD display and temperature controls. It is easy to use, shuts off automatically in about 20 minutes for safety purposes, and makes a user feel like he’s just sipping from a straw. 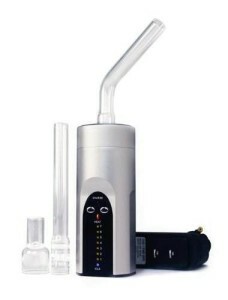 The Vapir NO2 also produces great vapor, comparable to that of bigger and more expensive desktop vaporizers. It heats up in under a minute, and has a 1-year standard warranty. The Iolite Original Vaporizer doesn’t have any batteries, but uses butane as its power source. This is a plus for those who do not like batteries, and tend to forget charging. It’s a good alternative for others, since butane can easily be acquired from just about any lighter shop. It has a stainless steel heating element, and is very lightweight, weighing only a pound. It repeatedly heats the chamber to maintain the proper temperature so users can get the proper vapor that they need from their dry blends. It is covered by a 2-year warranty. For those who like an artsy exterior, but do not like charging their vaporizers, the Iolite Wispr has both. It is powered by butane, and comes in a lot of colors. The temperature is fixed at 410F, and heats up in about 30 to 120 seconds depending on the butane quality, so don’t forget to regularly change the butane with this unit. At 4.5 ounces, and at 3.45 inches tall, it’s quite portable to be put in your pocket. It has a 2-year warranty. The Palm 2.0 is the improved version of the original Palm, which relies on 1 AA battery for its ceramic heating element – pretty much like the MFLB. This direct draw system is compact, lightweight, and heats up in 5 to 10 seconds. However, it only has one temperature setting and the vapor temperature would highly depend on the user’s draws. However, the plastic parts reportedly do not fit properly.Batteries have a 3-month warranty, but the whole unit has a lifetime warranty. The Omicron Vaporizer uses concentrates, oils and waxes. It has a removable battery that can be charged with the bundled wall charger, and the vape itself can be disassembled for refilling and cleaning. The chamber/cartridge can be pre-filled to 1g of oils, and a fully charged battery lasts 200 button presses – more than enough for the day. Some even try and stretch one fully charged battery for a week, which is a big plus for travellers and those who like to go out. It has 1-year manufacturer’s warranty. The G Pen uses a wick and oil cartomizer, and can be filled with 2g of oils, enough for around 400 draws. It has a stainless steel exterior, with a ceramic bowl. The G Pen is registered with the FDA and provides good vapors. However, the parts are not interchangeable with others, so don’t expect the G Pen’s accessories to fit in other vapes. It also has a USB charger/dock, and has a one-year warranty from Grenco Science. It also has a USB charger, and a wall charger. Although it is lightweight, it fits the palm of your hand just fine – and it feels quite sturdy too. 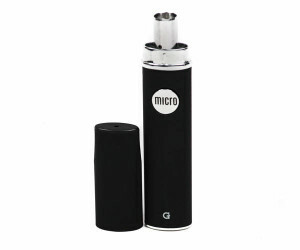 Some users even say that the Micro G Pen produces more vapor than its big brother. It is very compact, it can be easily slipped into your pocket, and it has a great package that goes along with it. It has a 1-year warranty, as well. The 710 Pen is perhaps one of the most pen-looking pen vaporizers in the market today. It uses concentrates and oils, has a rechargeable battery, uses a USB charger, and has a really long battery life. It has an LCD display that indicates the exact temperature, as well as how much battery life you still have. With quick heat up times of 5 seconds, and 400 pulls on one fully charged battery, the 710 is definitely a great choice. However, it only has a 3-month warranty on its heating element. The Trippy Stix comes in many different colors, and has a wickless heating element. It is dubbed as the world’s first no cartridge vaporizer. It doesn’t look like your normal pen vaporizer, but it has this distinct look that is quite nice. It is also available in 13 colors, which is a definite plus for those who consider colors as a factor. It delivers 800 puffs for a fully charged battery – definitely not bad if you are thinking of bringing this around to travel. It heats up in 5 seconds, and reaches maximum temperature in about 10 seconds. It shuts off automatically after 10 seconds. The bad thing about this is that it only has a 90-day warranty. The Atmos Raw is the only pen vaporizer in this bunch that uses dry blends, so that is a plus. However, it burns the dry blends – it doesn’t vaporize them. This is why it produces smoke, and not vapor. Think of it as an electric pipe. However, it produces very good vapor, still, because it can be used with both concentrates and liquid concentrates (with a separate glycerin tank). It has an aluminum and stainless steel exterior, with a stealthy power button. It is versatile, it’s portable and it can be charged with a USB. 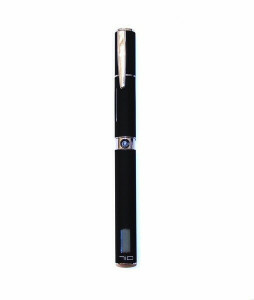 Pros: one of the few pen vaporizers that utilizes dry blends and herbs, good vapor quality, made of aluminum and stainless steel.